Raw chocolate is what it says on the tin, chocolate that has NOT been cooked. This means the cacao bean goodness is preserved rather than being destroyed during the roasting process. And there is bountiful goodness in that bean, this means that raw chocolate is healthy. In fact, more than healthy it’s a superfood. cacao is a very complex foodstuff with more than 300 chemically identifiable compounds. It is said to be significantly richer in antioxidant flavanols than green tea, red wine or acai, and contains protein, fats, calcium, iron, carotene, thiamine and riboflavine. It’s basically rammed with antioxidants and overflowing with health. This is great news. Trishul Raw Chocolate delights go that little bit extra by adding superfood to the already nutrient laden cacao. So, in addition, we get superfood ingredients such as lucuma, chlorella, shelled hemp seeds, mesquite/peruvian carob, yacon and even chia seeds. There’s a lot of health giving goodness in that little lot but you may not have heard of some of these but rest assured Trishul knows her stuff. I love the chocolate bars, which have goji berries, nuts and other ingredients in them, but my favourite are the brownies. These are really gorgeous, you can almost feel the goodness soaking into you, being soaked up and there’s a lovely sigh as the serotonin ‘hit’ kicks in. But if these ain’t your bag there’s plenty to choose from. The stall at the Cruelty Free Fair will be well stocked. In the picture there are several home-made products – Florentine, raspberry trees, hemp and goji biscuit, two bountys, brownie and two bars. 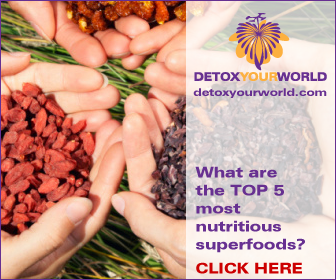 Each of these give you an injection of antioxident superfood goodness while tasting spectacular. The great thing is there’s no sugar at all. Trishul uses agave or date syrup, this is a step up from nasty sucrose. The florentines are a little like chocolate cornflake cupcakes BUT far tastier and much more healthy. The trees are topped with raw, vegan white chocolate, which isn’t my fave, some people love this. However, the raspberry works so well that I do like these too. The goji and hemp biscuits are fantastic and are a bit like the luscious brownies – divine. The bountys are coconut filled raw chocolate and pretty special, these are fairly new and really are a special treat, especially if you liked Bounty bars in a previous life, like me. The bars…. There’s an old saying “cheap ain’t good and good ain’t cheap” and this really applies. The ingredients are top quality, organic and completely vegan everything is totally raw and the taste is exceptional. These treats are for nibbling rather than devouring. I’m a fan! So. I suggest you get down to the Cruelty Free Christmas Fair in Kings Heath on Saturday. Alex will be there with his tempeh as well as Trishul Raw chocolate and plenty more. This event is well worth attending, do it! Your chocolate is fabulous! Any chance of coffee flavoured ones for Xmas?